It’s been a wonderful Indian Summer with pleasant daytime temperatures, cool nights, and occasional air freshening sprinkles. 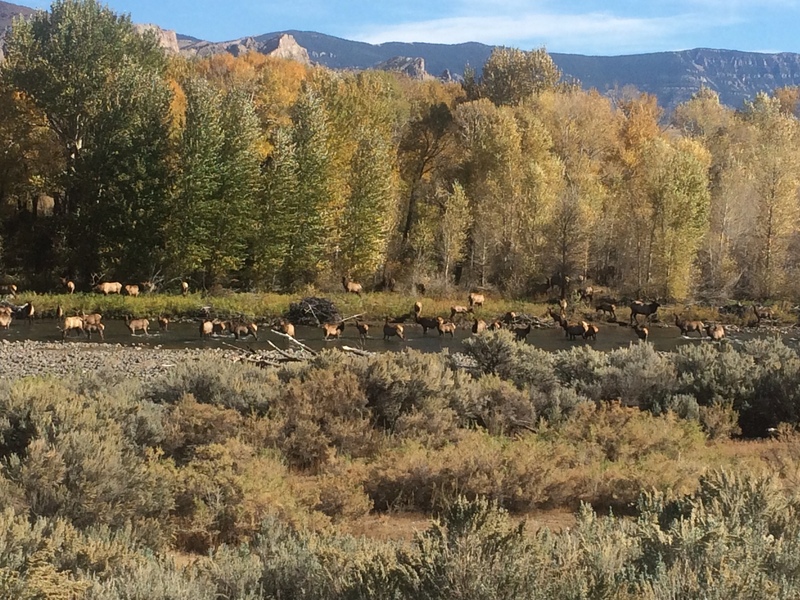 Listening to the majestic sounds of elk bugling during the evenings and mornings, and smelling fragrant sage after fall showers gives one a real sense of being in the wild Rocky Mountains. The featured picture in this blog was taken a week ago below Windmill Inn while Suzie and I were heading into Cody. I texted the picture to a friend in California and he responded “Dude, that’s like some dream picture the mountain men would have seen in the 1830’s! Nice!” It’s a gorgeous time of the year and if you want to experience wildlife similar to the mountain men and trappers of the 1800’s, book a stay with us at the Windmill Inn! !